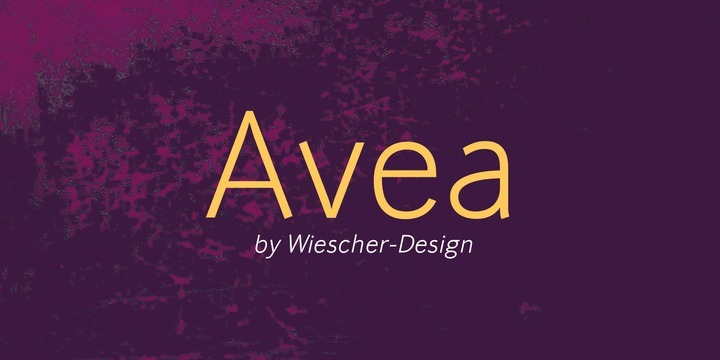 Avea is an elegant sans serif typeface created by Gert Wiescher and published by Wiescher Design wich is available in 7 weights matching italics. It has advanced typographical support, a complete range of figure set options and suppports almost all latin languages. Avea works great for a lot of projects, from edvertising to editorial projects, web and screen design. Enjoy! Price: starting from $39,00 for one font to $169,00 for all 14 fonts. A font description published on Thursday, October 15th, 2015 in Fonts, Gert Wiescher, Wiescher Design by Alexandra that has 2,691 views.